Reflections of Beauty: I'm happy ... Are you? Are you happy? As happy as this dog? 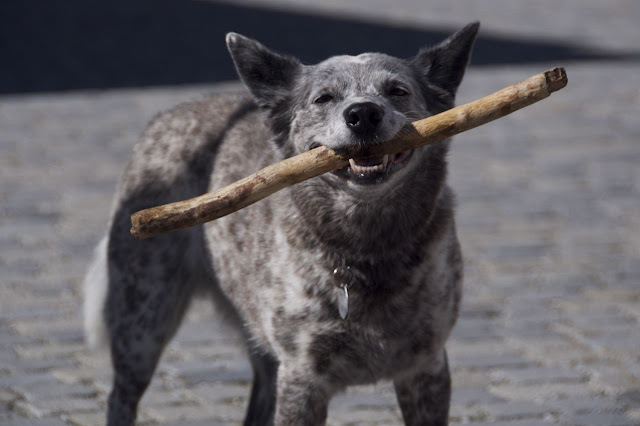 This guy just seems so content with his big stick. He's smiling at the camera. You know what they say ... you're as happy as you make your mind up to be. So I'd say take your cue from this happy boy, and smile, smile, smile.